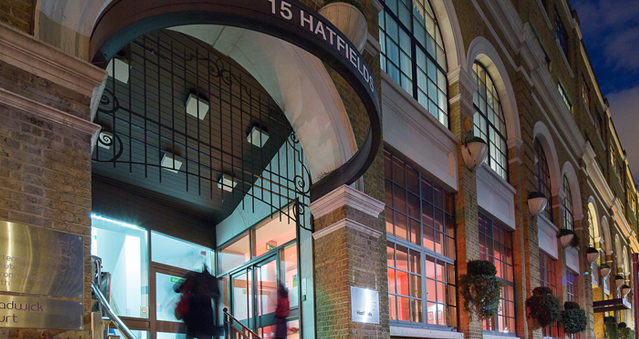 15 Hatfields: This is the UK’s and London’s most sustainable conference and event venue. Conveniently situated in a desirable position near South Bank in London, these flexible and contemporary spaces can accommodate events ranging from 2-730 delegates. There is always a helpful team available to offer their expertise and assist with the smooth running of any events we host for our clients at their celebrated venue. Sustainability is an ongoing journey and investment at 15Hatfields and goes deep into their ethos. They continue to lead the way and raise the bar in the area of sustainable business management practice in the events industry which aligns with our ethos here at Right Angle Corporate Limited. 15Hatfields was named as the UK’s most sustainable conference and event venue at an awards ceremony held at the Food Link Conference organised by Sustain – the alliance for better food and farming. 15Hatfields were awarded the ISO 14001 certification in 2013. ISO 14001 is a framework of control for an Environmental Management System and means that 15Hatfields is now fully internationally compliant. This establishment pursues a zero waste to landfill policy and they introduced the latest energy saving devices, reducing their utility bills by 50 per cent. A strict ‘no bottled water’ policy has prevented 1 million plastic water bottles ending up in landfill (they filter their own water on site and serve to clients in reusable glass bottles). 15Hatfields Distributed over 2 million wild flower seeds as part of our campaign to help save the decline of bees in London. Ideal for: The Killing, Around the World, Product Launches, Stocks in the City, Mixology, Get in the Zone, iPad Movie Making and much more!